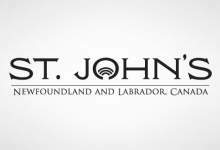 The City, and St. John’s Sports and Entertainment have signed a lease agreement with the owners of the St. John’s Edge of the National Basketball League of Canada and the Newfoundland Growlers of the East Coast Hockey League. The Growlers have already kicked off the season with an eight-game winning streak with a total of 36 home games scheduled for this year at the Mile One Centre. “We are happy to have concluded our lease, and we look forward to a long and beneficial relationship with the City. We know having both teams in Mile One has great benefits to both the citizens and businesses of St. John’s,” says Dean MacDonald, Co-Owner, Newfoundland Growlers. The St. John’s Edge have enjoyed enormous success during their 2017-2018 inaugural year. With a strong season behind them as the team powered through the second round of playoffs, this year local fans will enjoy 20 home games in St. John’s, starting the home court opening weekend with a 7 p.m. tip-off Friday, Nov. 23 and more family fun activities at 3:30 p.m. on Sunday, Nov. 25. For more information about Mile One, and to book tickets for the upcoming season visit the Mile One website.